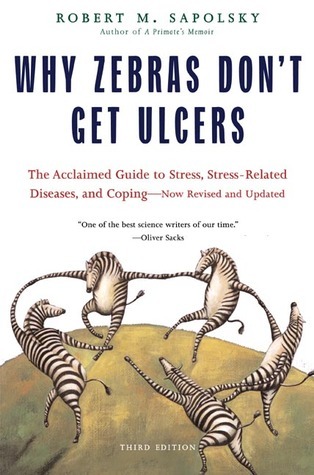 Why Zebras Don’t Get Ulcers, Third Edition by Robert Sapolsky. Sapolsky, in excruciating scientific detail, how stress is bad for us. That’s the first 400 pages. In the last 10 pages or so he gives some tips for managing stress, which are mostly pretty obvious: exercise, meditate, make friends, take more control of your life, etc. Not really very enlightening unless you feel a need to understand the biology of stress.